For the first day of a four day event that had no scheduled activity until 7:30 p.m., there sure was a lot of meeting and greeting of old friends. In this first day update, we have some time to chat with many of the friends we ran into. With nearly 1,800 registrants, it's hard to get around to have quality conversations with everyone. But it was great that some people gave me some great quality time albeit short due to the veritable whirlwind of magical luminaries swirling around the casino. Monday will bring us the first full day of activities so I probably should get a little rest. I;m still on Central Time so it is nearly dawn in Texas according to my body clock. 00:07:17 - Chris Philppott and Steve Valentine, mates of mine from the Magic Castle are the first ones that I got to chat with after I checked into the hotel. Steve talks a bit about his presentation that he will give on Monday and Chris talks about his marketed effect, "French Postcards". 00:11:46 - R. Paul Wilson talks a bit about his movie, "Our Magic"
00:22:44 - Kyle Knight and Mistie talks about their current and future schedule also about their performance on "Wizard Wars" and "Penn & Teller Fool Us". 00:39:26 - Justin Willman is getting married soon and he talks about that. He is also joined by Sean Popp and Shep Hyken. 00:52:26 - Ray Anderson, star of Esther's Follies in Austin, Texas talks about the upcoming Texas Association of Magicians convention and his appearance there. 01:01:47 - Dennis Watkins talks about the return of the Houdini play in Chicago next summer for a 15 week run starting in June 2016. 01:20:11 - Tom Mullica talks about his late night tales he told by his headstone in the graveyard at Colon, Michigan at Abbott's Get Together last week. 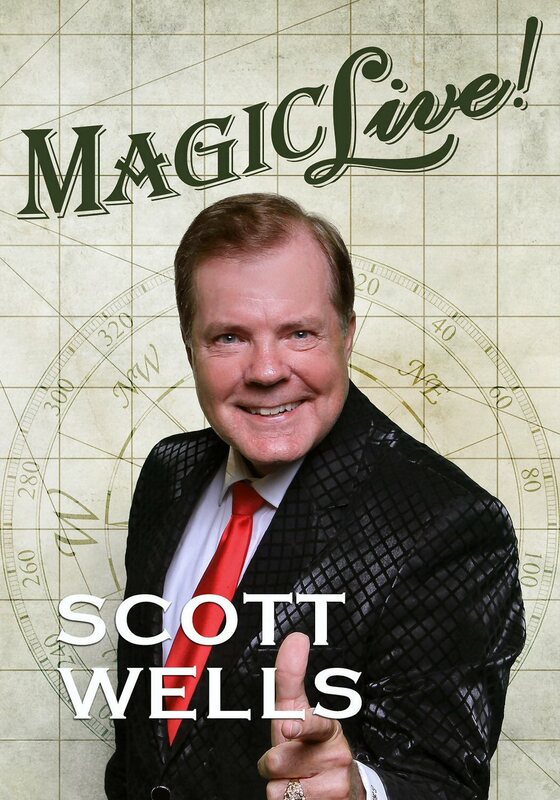 Tagged with Charlie Randall, Chris Philpott, Steve Valentine, Steve Chezaday, Tom Mullica, Dave Cox, Bruce Gold, Dennis Watkins, Ray Anderson, Dustin Stinett, Las Vegas, MAGIC Live!, R. Paul Wilson, Kyle Knight, Mistie Knight, Justin Willman, Simon Lovell.